Distracted driving has become an epidemic in the United States. It is currently one of the leading causes of preventable deaths in our nation. With technology as engaging and pervasive as ever, it's easier for drivers to get distracted. Drivers are 6 times more likely to be involved in an incident related to distracted driving than they are drunk driving. Thankfully, these incidents are preventable. In order to see tangible change in our communities and nation, the issue must be made known. 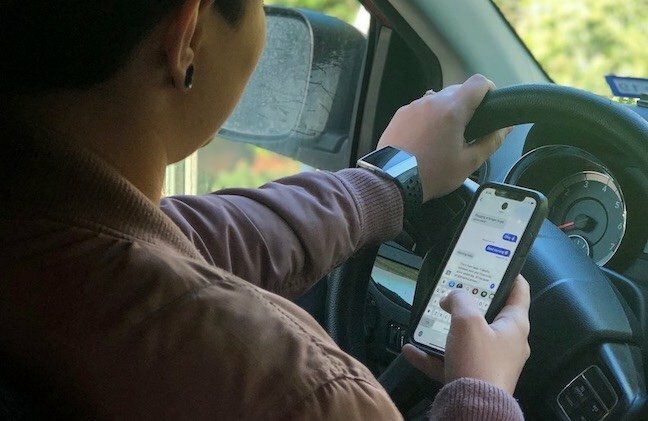 This united effort to bring awareness to the dangers of distracted driving and ultimately, eliminate preventable deaths, is an effort Constable Mark Herman's Office proudly stands behind. Join them in ending the epidemic to create safer roads and communities. -Install an app that can block texts and phone calls while you are driving. -Banish your distractions to the back seat so you don't have the option to reach for them. -Plan your trip before you begin travelling. Wrangling a GPS system while driving is as bad as texting while driving. Take care of this before you get moving, make sure that by the time you hit the road, all that's required of you is to drive. -Wake up earlier to groom yourself. The rear-view mirror is for road safety, not for completing your morning face routine. As tempting as it is to put on makeup in the car in a time crunch, it's a killer distraction that can easily be avoided. Easy if you remember the consequences, that is. -There's always time to pull over. If an emergency strikes and you simply must use your cell phone or other device, just stop. If it's not important enough to stop, it's probably not important enough to use your device while you're driving. Pull-over spots are specifically designed for this, so you might as well make use of them. -Remind yourself that emotional distraction is real. It's not always possible to avoid emotional mind-wandering. Again, we're humans, and that means by nature we're easily distracted. So, try mitigating this risk as much as possible. When you get behind the wheel, take a few deep breaths and do what it takes to put emotional stresses on pause. If you can't, don't drive.